Finding the right testing tool from all the available automation testing tools is tough. I’ve interviewed over 200 testers and developers on my TestTalks podcast. 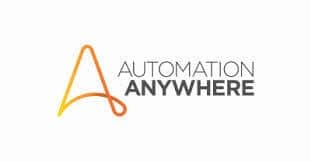 Based on this treasure trove of test automation awesomeness, I’ve taken the top functional automation testing tools mentioned by our experts and listed them below. This list includes both free software testing tools and vendor automated testing tools but many of the paid tools offer a free trial version of their solutions. How to Select an Automated Test Tool? I don’t think there is one tool that all teams should use for software testing. What you decide to choose should be based on your team’s unique needs. I always recommend regardless of what automation testing tools are selected to do a two week proof of concept (POC) and make sure the solution actually fits in with your team’s development workflow. 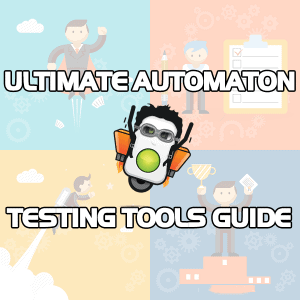 For more details on this and other automation best practices check out my Ultimate Test Automation and Best Practices Guide. Now, time for the automation testing tools list. Bookmark this page as this list will be updated regularly. Here is my automation testing tools list of the top automation testing tools software that you should check out. OK–this is a no-brainer. As of now, Selenium is the leading automated regression testing option for browser-based website automated testing automation. Cucumber was not designed to be an automation test tool; it’s a tool that helps conversation and removes ambiguity from requirements before your team invests time in writing code. If you need an automated test tool Java-based framework that integrates with behavior-driven development (BDD) tools such as Cucumber and JBehave, and lets you keep your test scenarios at a high level while accommodating lower-level implementation details in your reports, Serenity BDD (formerly Thucydides) might be the tool for you. It’s designed to make writing automated acceptance and regression tests easier. John Fergusan Smart also wrote an excellent book on BDD in Action that includes tips and tricks for using Serenity and other automated testing tools. Unified Functional Testing (UFT) is a test automation tool that was initially developed by Mercury Interactive and was named Quick Test Professional (QTP). 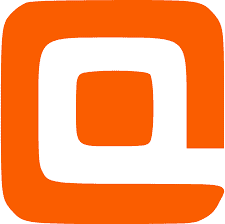 It was later acquired by HP and rebranded as Unified Functional Testing. Micro Focus recently purchased it, so Lord knows what the marketing geniuses there will end up calling it. 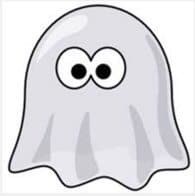 Update: PhantomJS is pretty much dead. The project itself has been archived. So for new development, it is probably not the best option. Most folks have moved to Puppeteer instead. 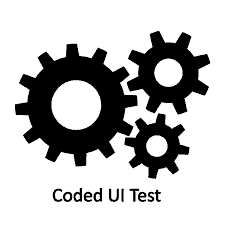 CodedUI is Microsoft technology for test automation for the Windows platform. SmartBear’s TestComplete platform helps you create repeatable and accurate automated tests across multiple devices, platforms and environments quickly and easily. 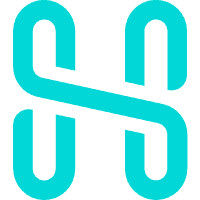 SikuliX can help automate anything you see on the screen of your desktop computer running Windows, Mac or some Linux/Unix. 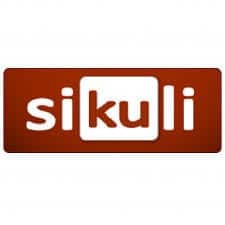 Sikuli uses image recognition powered by OpenCV to identify and control GUI components. AutoIt v3 is a freeware, BASIC-like scripting language designed for automating the Windows GUI and general scripting. 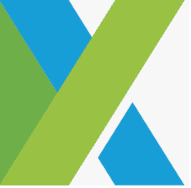 While not the most robust tool from all the other automated testing tools but many teams integrate AutoIt with Selenium to work around non-browser windows that appear in an automated test workflow. While most automated testing tools on this listed were created for functional testing Applitools was developed from the ground up, specifically for visual validation. Visual Software Testing is the process of validating the visual aspects of an application’s User Interface (UI). Protractor is a layer that sits on top of Selenium used for end-to-end testing for Angular. Watir is an open-source Ruby library for automating tests. Watir interacts with a browser the same way people do: clicking links, filling out forms and validating text. PowerShell is a Microsoft product. 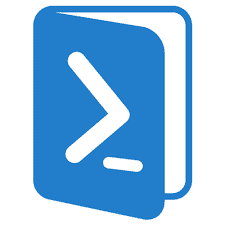 Anytime you want to use the command line or automate anything inside of the Windows ecosystem (or pretty much any Microsoft product) you’ll want to go with PowerShell. While not usually considered in a list of automated testing tools I still consider this a viable option for DevOps based automation. There is even a BDD framework for it called Pester that some teams love. Do you need to automate a thick client application like WPF, Silverlight, Win32 or WinForms? 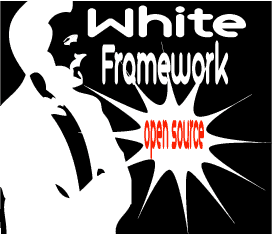 If so, then White may be the automation framework for you. 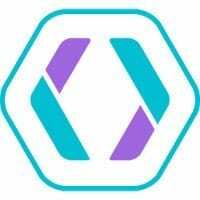 Appium is a free, open-source, cross-platform mobile UI automation framework. It allows you to write UI tests for your mobile apps, Android iOS and some other OSs. It also lets you create test scripts using the Selenium JSON writer you know and love from web automation. 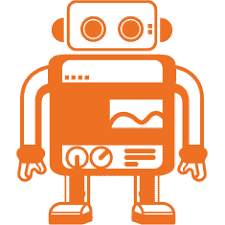 If you want to use Python for test automation, you can’t go wrong with the Robot Framework. 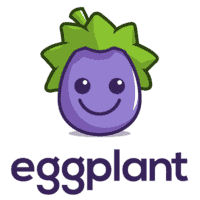 This mature product, created for testers, uses a keyword-driven approach to make tests readable and easy to create. It also includes many test libraries and other tools you can use. 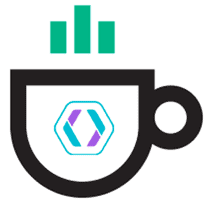 The Robot Framework is Python-based, but you can also use Jython (Java) or IronPython (.NET). 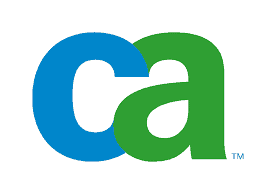 The CA Agile Requirements Designer automation tool takes a unique approach to test automation. Rather than focusing on the code, it creates automated tests automatically using model-based requirements. Using a model-based approach is cool because it can auto-generate and update test cases whenever a change is made to the model. 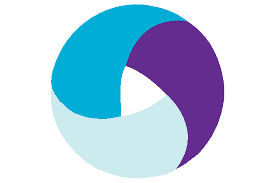 HipTest is a new breed of test management tool and BDD Framework. Many teams that use BDD have a hard time managing all their manual, exploratory and automated tests in one place. TestPlant is one of the only test automation tools on this list that has strong support for Apple’s platform. 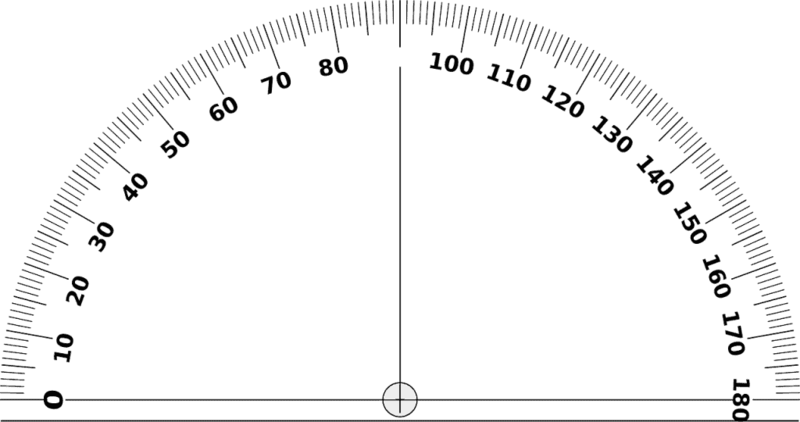 Because of its unique, image-based recognition abilities, it’s known for its ability to test hard-to-automate applications; especially those with object recognition issues. Unfortunately, however, anyone who has done image-based, functional test automation understands how difficult these types of tests can be to maintain, and some customers have noted that as an issue. 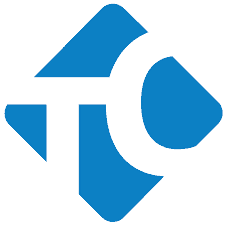 TestArchitect is a codeless, keyword-driven automation framework that makes it easy for teams to create and manage large test suites. When I asked Hung Q. Nguyen the co-founder of LogiGear why he created Test Architect he mentioned that creating a test is one thing. But tests change and they change very rapidly. How do you rapidly change the test and maintaining it and updating it so that you can scale? That was the thinking behind the design of Test Architect. If you need to focus your automation efforts on user experience design (UX) or layout testing, Galen Framework might be a perfect fit for your needs. 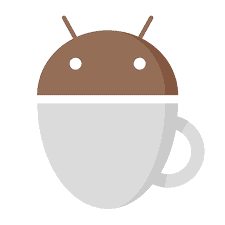 Espresso is a native mobile testing framework for Android testing. Testim leverages machine learning to speed up the authoring, execution and–most importantly–the maintenance of automated tests. Their goal is to help you to start trusting your tests. Oren Rubin, co-founder of Testim, mentioned in a recent TestTalks interview that the firm’s primary goal is to help liberate test automation from the exclusive realm of developers and make it simple enough for anyone on the team to create. 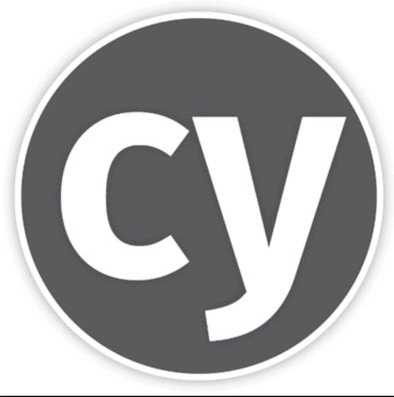 Compared to most of the other tools on this list, Cypress is a more developer-centric test automation framework that focuses on making test-driven development (TDD) a reality for developers. One of its design principles was to be able to package and bundle everything together to make the entire end-to-end testing experience pleasant and simple. 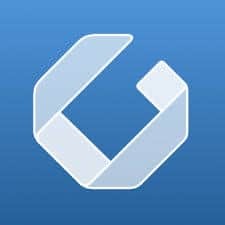 WebDriver.IO is another browser-based automation testing tools module but this one is for Node.JS that makes it possible to write super easy Selenium tests in your favorite BDD/TDD test framework that will either run locally or in the Cloud using Sauce Labs, BrowserStack or TestingBot. I like how Kevin Lamping in TestTalks Episode 179 describes the chief benefit of using WebDriverIO as being like the SeleniumJS binding on steroids! Mabl is one of the newer automation testing tools on the market that focuses on the hot trend of using AI and machine learning to help folks with their testing efforts. In a nutshell, to get started you merely point Mabl to your application. It will then crawl your app’s screens and begin to run default tests that are common for most applications. Katalon Studio is an open-source solution that includes many features you would typically only find in a paid vendor tool like Record and Playback, reporting, Object Spy, Object Map and more. You can use it to create automated tests for Web, API and mobile apps. It even runs on both Windows and Mac. Developed for testing web applications, Sahi offers both an open source and a pro version. 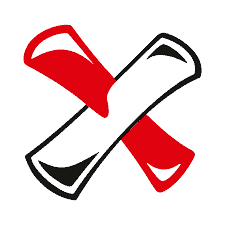 It works as a proxy server you can use within a browser. From the Sahi dashboard, you can launch the browser you want to test. 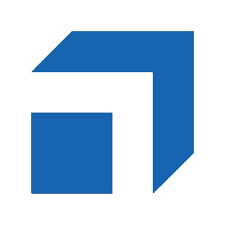 Gauge is one of the newest open-source test automation tools for Mac, Windows and Linux. It was developed by the folks at ThoughtWorks–the same company that created Selenium. 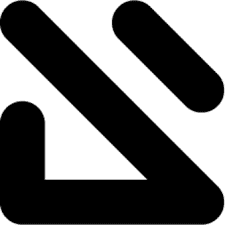 The 2017 Online Automation Guild conference had an awesome hands-on session on cross-bowser testing with Gauge and Selenium WebDriver that you can still get recordings for. RedwoodHQ takes a slightly different approach than the other tools on this list. It creates a website interface that lets multiple testers work together and run tests from one Web-accessible location. Like most companies, IBM’s test portfolio has grown with the acquisition of tools like Rational and Green Hat. 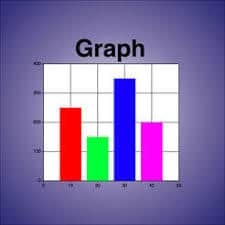 Much of the strength of Rational Functional Tester comes from its support of numerous technologies like Siebel, PowerBuilder, Java and can run on Windows, Mac, and mobile platforms. Some time only developer ERP applications. In those cases, a tool like Worksoft might be the perfect choice for you. Worksoft is well known for its ERP business end-to-end solutions. Oracle Application Testing suite contains a bunch of integrated products to help with Oracle Functional Testing for regression testing of web applications and Oracle Load Testing for performance testing of your Oracle packaged solutions. TestingWhiz motto is Code Less, Test More. They have solutions for Web Test Automation, Mobile Test Automation, Automated Database Testing, Mobile Test Automation and more. What About Non-functional Automation Testing Tools?